Nina Campbell is one of the world’s most respected and influential interior designers. Her list of clients and design expertise is unparalleled. Renowned for her contagious wit and brilliant sense of style, her designs appeal to both young and old and sit well in both contemporary and traditional interiors. She is also the author of five books on interior design. Q. What is one design element that is a must in your work? A. Colour: This can either be a room drenched entirely in colour, or just aspects of colour in a room. Rooms need to be joyous! Q. Who or what are some of your main influences? Q. What is something people don't know about you? A. I always have to have a garden because I have Theo, my dog. I have always had dogs and animal welfare is very important to me. Alexander Pollock is a Melbourne-based full-service design practice offering all aspects of interior design and interior decoration providing a bespoke and tailored interior, finished in detail for every client. 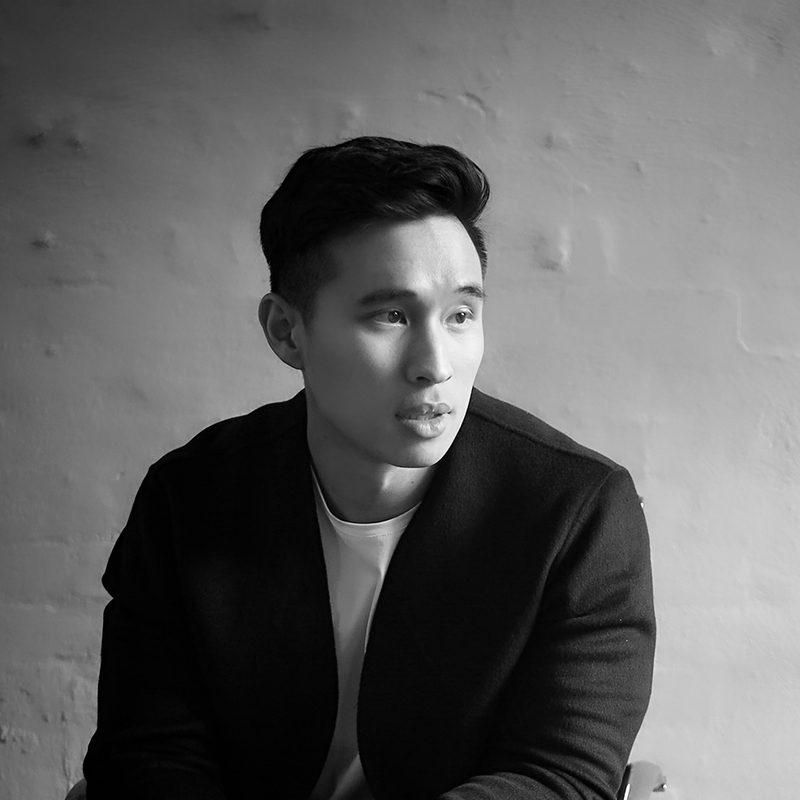 Founder and principal interior designer Aaron Wong, who is the creative force behind Alexander Pollock has had a somewhat unconventional entry into the industry. A degree in architecture or interior design, or a role as assistant designer in a reputable firm has usually been the rite of passage. Having left the corporate world, Aaron is self taught and has since achieved a body of work that has garnered recognition from major industry bodies within a brief space of time. Aaron's work is known for its versatile, luxurious and timeless appeal. A. My influences are constantly moving, when I first got into the industry, I used to refer to the work of individual internationally renowned designers as inspiration. Now, my influences are more focused on pieces of furniture or a design period. I enjoy trawling through first dibs and imagining spaces that I would come up with based on the pieces. A. I stay out of the sun! Beatrix Rowe has worked as an Interior Designer for twenty-five years and founded her own design studio in 2004. The studio of Beatrix Rowe Interior Design is located in Elwood and the practice primarily carries out Residential projects but has also been involved in Retail and Hospitality design. Our work has a strong focus on materiality and quality of detailing, with an emphasis on enduring design. We believe strongly in a close relationship with our clients during the design process, enabling us to execute a well-considered and tailored project. We highly value the skilled craftspeople who execute the vision of our practice, who have become entrusted partners in the process. In addition to designing Interiors, we have a product range in the pipeline, exciting times ahead! A. Expressing the materiality of natural finishes to execute designs which focus on quality, details and longevity. A. We look to leaders in the industry who adopt a language of enduring and timeless design. Those who are not guided by trends, but execute understated designs which are not only captivating but sensitive to the human experience. Q. What is something people don’t know about you? A. My favourite piece of furniture is the Knoll Studio Stump Table. Adelaide Bragg and Associates was established in 1989 by Adelaide Bragg. Adelaide is known for her beautiful classic interiors and provides bespoke interiors to private homes across Australia and to leading clubs and commercial premises. In 2017, Adelaide launched Bragg & Co, to offer custom made beautiful furniture, lighting and accessories. Bragg & Co products have been developed by Adelaide over time and experience to meet the needs and desires of our clients who seek quality homewares and accessories. A. Colour, layering and the use of beautiful table lights. A. The English decorating houses, for example Colefax and Fowler, who have always used porcelain and ceramics as lamp bases. Bragg & Co is also inspired by the American design aesthetic, which does colour so beautifully. A. I have a galah called Holly and a dog called Flossy. Established in 1990, Brownlow Interior Design, specialises in residential, commercial and marine projects across Australia. 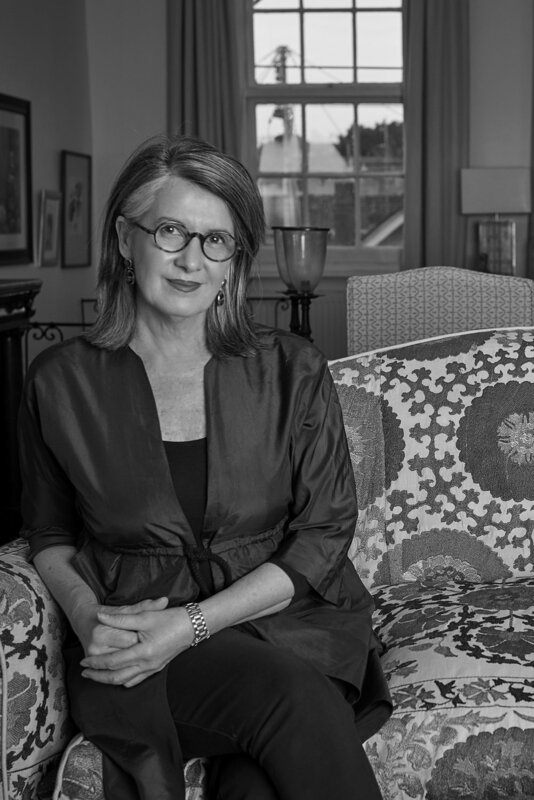 Barb Brownlow is recognised for her classic, decorative style, with an extensive knowledge of early English and continental furniture, materials and textiles. Alexandra Brownlow, since completing interior design and decoration at Royal Melbourne Institute of Technology is renowned for her unique approach to modern classic design – cleverly able to combine a medley of periods and styles within a modern interior. Together, the mother-daughter duo form one of Australia’s leading interior design firms. Following a rigorous approach to planning and detail, Brownlow Interior Design create comfortable, classic interiors with a finely balanced layering of materials, finishes, furniture, antiques and artwork, which provide an exceptional point of difference. With a flagship retail store, located in Toorak Victoria, Brownlow Interior Design stock a unique and interesting collection of local and imported textiles, lighting, rugs, furniture, soft furnishings, art and interior accessories. A. We always encourage at least one piece of proper antique furniture in a room, coupled a global edit of decorative accessories & textiles and not forgetting something woven; rattan, wicker or grass paper. A. The Far East! Oriental furniture, carpets & textiles. We are mad about chinoiserie and its adaption for interior decoration. A. We are most at home in a worn pair of R.M’s, kicking about our property in East Gippsland, surrounded by Kelpie dogs. Established in 2004, Camilla Molders Design is a boutique design studio focused on creating residential interior spaces that surprise and delight, that push design boundaries, all while balancing functionality with aesthetics. We focus on fine detailing and exceptional craftsmanship, often collaborating with artisans and craftspeople to create original bespoke pieces, that are a perfect accompaniment to our projects. A. Visual balance is always an absolute must. Balance provides a sense of unity and order, and stability to a design. Without balance, a design feels off-kilter, inconsistent and unsettling. A. So a little cliche – Mother Nature inspires me endlessly. The colour, texture and pattern combinations found in nature offer me so much inspiration. Lately I'm greatly inspired by cymatic shapes – which are the shapes that sound waves make. I'm using these patterns on rug and textile designs and the end results are beautiful and interesting. And I love that they have an origin story to them! A. I'm teaching myself to play the harmonica via tube tube tutorials! I've worked in the design industry for over twenty years, working from my own showroom in Hawthorn, then from my home in Kew for mainly residential clients. While I have a distinctive design style with a passion for colour, I pride myself on helping clients visualise their own unique concept and bring it to fruition. My winning combination is intuition, passion and practicality! My industry experience and connections with suppliers means I have a wide range of furniture, soft furnishings, hard surfaces, lighting, art and decorative items to offer clients. Im a strong believer in the importance of practical functionality combined with beautiful design. Scale and proportion are essential to ensure there is plenty of space for daily living, as well as entertaining needs. A. Scale and proportions - it is so important for these elements to be taken into consideration at the beginning of a project as they influence the rest of the design. A. Tricia Guild of Designers Guild, as I adore her use of bold colour, texture and pattern with so much confidence to make an individual statement in all she does. I also adore Kelly Wearstler and her sophisticated style that often shows of an extravagant selection of fabrics, wallpapers, furniture, lighting and art placed together in a harmonised way by making the pattern, subject or object stand out rather than the colour. A. I am married with three beautiful children and a dog called Teddy Touzeau. Ralph Chalmers and Owen Le Fevre have been working together for over a decade. Their interior design studio, Chalmers Le Fevre, is based in Melbourne and is well known for highly specific interiors for diversely individual clients. The studio has special expertise in architectural detail. Interiors are layered, complex, and eclectic. There is a strong focus on scale, proportion, attention to detail, and style. Clients are taken through a world of possibilities and presented with rich interiors which appear effortless and natural, completely tailored to their homes and lifestyles. The studio works on projects throughout Australia, and internationally when requested. A. There are many musts that characterise our interiors, including colour and contemporary artwork, an eclectic mix of furniture styles, and also high textural contrast and diversity in fabrics. A. Some of our main influences are ‘Italian eclecticism’, and the ‘American West Coast’, all underscored with a distinct Australian aesthetic. A. Owen comes from an artistic family. Following family tradition as an artist, when Owen’s not working he’s likely to be either taking a photograph or painting. My favourite thing about being an interior designer is meeting new clients and listening to the inimitable tales of their lives. Absolutely everybody has an incredible story which has brought them to this present moment. This realisation in combination with my own personal path has taught me that the journey is just as important as the destination. For this reason, I really take the time to get to know my clients and understand their individual needs, because I know that the best outcomes arrive as a true physical extension of their lives and themselves. With trust as a cornerstone, I lead my clients on a path of discovery through their own story, resulting in striking outcomes that reflect their individual journey, and which feel like they were always meant to be. Together we create beautiful spaces that feel incredibly personal, warm and inviting, whilst also being striking, considered and engaging. A. An item with a story or some form of relevance to the project, whether that be a trinket from travels, a piece of art or a pattern on a fabric. A. History, reggaeton music, hiking in nature, Ash+Leandro, people's stories, culture and anything that engages the senses. A. I am a gypsy trapped inside the methodical, logical mind of a Virgo. Maggie Fulton is the founder and director of Jam Interiors which has been based in Brighton, Victoria since the 1990s. After a career in a very different field Maggie took the opportunity to follow her passion and, while based in Johannesburg for a few years, studied interior design and decoration and has been in the industry she loves ever since. Jam Interiors specialise in residential interiors and has many years of experience in the planning and detail essential for creating timeless and individual interiors where style and comfort go hand-in-hand. We work hard to understand our client’s expectations and develop the mutual trust and co-operation needed to achieve a beautiful and successful interior that will be truly reflective of them and enhance the quality of their lives. We work on projects big and small and have great enthusiasm for both. A. The one design element that is a must in my work is comfort followed closely and combined with harmony, beautiful fabrics, quality products and a little playfulness. A. My main influences come from my travels mainly in Europe and the UK where I grew up but also from a host of brilliant and individual designers and decorators such as Axel Vervoordt, John Stephanidis, Michael S Smith, Rose Tarlow – I could go on and on. A. I am training for the New York marathon! No, that’s a lie. Inspired by the magnificent grand estates and gardens of Europe whilst working on the international show-jumping circuit in his younger years, Melbourne based Julian Ronchi recognized his passion and talent for gardens and design. The characteristics of Julian’s gardens vary considerably from classic to contemporary, urban to rural and coastal retreats. Julian’s gardens compliment the architecture of the house, the surrounding landscape and reflect his sensitivity to the needs of his clients, plants and the environment. Whether transforming an existing garden or starting from scratch, Julian’s gardens are visually stunning yet practical masterpieces. All garden plans are hand drawn. Established in 2005 the unique and inspirational retail nursery in Prahran offers customers an unrivalled shopping experience. Large and small garden owners are surrounded by a collection of exceptional green life and architectural garden elements hand selected locally and from around the world. The ever-evolving range includes French Anduze urns, Moroccan tile tables, bronze fountains, teak arbours and furniture. Five years ago Julian relocated to the Mornington Peninsula where he grows trees and tends to his Peninsula based clients. Based in Melbourne, Victoria, Justin Bishop turns out cool, calm and collected spaces that are distinctive in their masculine edge with sophisticated yet evocative atmospheres. They are full of smart natural fabrics, dark wood furniture, soulful patinas and strong silhouettes. He uses eclectic accessories, often set against walls painted chalk-white to heighten the poetic effect. His aim has always been to offer classic, timeless design, with lasting beauty and elegance. "While I work in all styles of design, from traditional to contemporary, my work always demonstrates my signature design philosophy, a classic blend of different looks together, balances with my clients lifestyle, to create a truly individual style." Through his business 'Justin Bishop Interior Design' he offers a range of services. From simple makeovers to extensions, renovations and new properties, he works in both commercial and residential sectors. From floor-plans and colour choices to furniture, lighting, accessories and garden, Justin offers style tips and advice or full scale project management. A. Texture! I use minimal colour in my work, preferring the beauty of natural textures found in timber, stone, metal and fabric to provide character in my design schemes. A. Classic international designers from the past to present: the classical architecture of Andrea Palladio, the palatial interiors of Scottish designer Robert Adam and the timeless work of American design firm Ralph Lauren. A. I've been an Hollywood silver screen film buff since I was a child. I'm a distant relative of Fred Astaire...and he can tap dance! Kimpton Interiors is a seamless blend of classic sophistication with a fresh approach, relevant to modern living. Known for embracing the diverse character of Australian design with accents of international influences, each design is unique, tailored to the client’s lifestyle and personality. 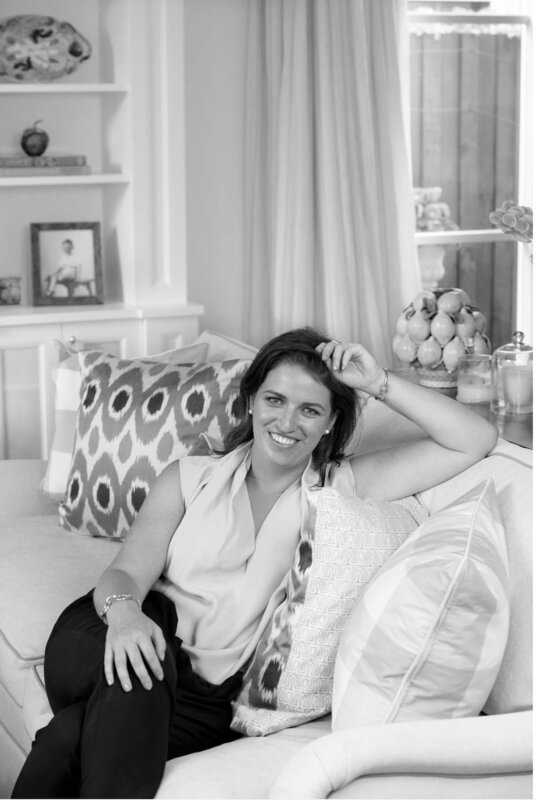 Principal designer, Lucinda Kimpton, launched Kimpton Interiors in 2012. Lucinda and her team offer clients a full Interior design and decoration service, throughout Australia and internationally. 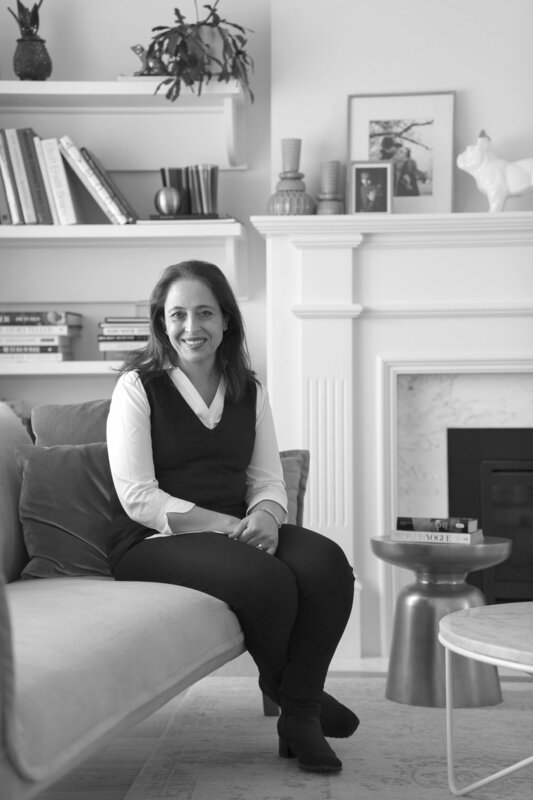 Lucinda developed her love of interiors and interior design at a young age through visiting beautiful homes as a child. 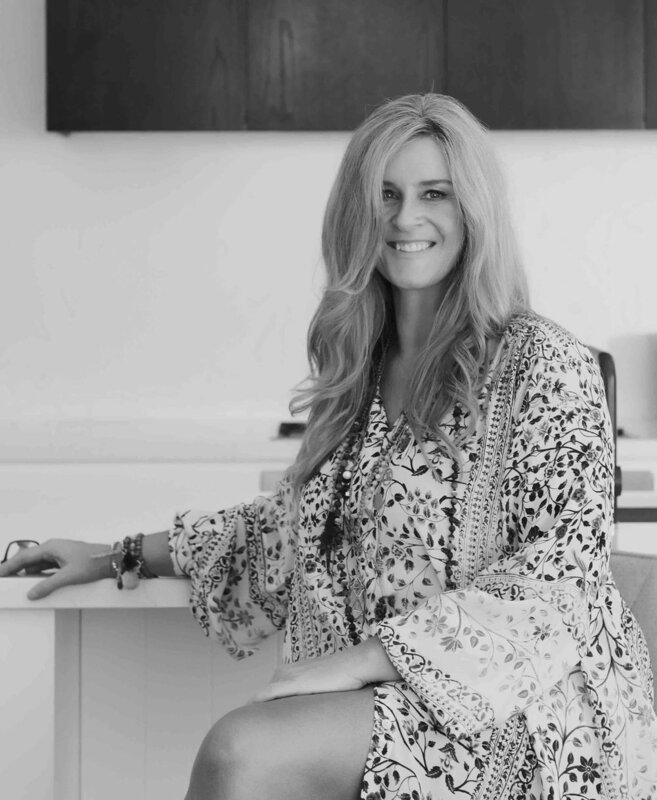 Prior to starting Kimpton Interiors, Lucinda worked with a prominent Australian Interior designer, international design house Hermes, and studied interior design and decoration at RMIT. A. Incorporating organic textures; this includes all design elements from natural stones to natural fabrics, the list and possibilities are endless. A. I find much of my inspiration in travel, particularly Europe, America and Great Britain. I would be lying if I didn’t admit to looking to other Interior designers for inspiration, in particular Cameron Kimber is a favourite, Mark D Sikes, Barbara Barry, Kit Kemp and Bunny Williams. I love trees, particularly gumtrees and the colours they throw off at different times of the day. My passion for design started as early as ten years of age, when I remember my first project – my bedroom. Styling all my trinkets and toys and making my bed perfectly before asking Mum a decorator herself, to photograph the space. I believe a house should represent the journey of your life. It should tell a story of where you have been and what’s important to you. I aim to create spaces that feel like a home to my client, and a welcoming reflection of their lives to friends and family who visit. I enjoy working with colour and prints, and always ensure the addition of an unexpected element of surprise. I like to source objects and furniture from both high-end, acclaimed Australian and International suppliers; as well as one off pieces, found by scouring antique stores, which take an interior from feeling predictable, to unique. I believe in supporting local artists, builders and trades. Whether it’s constructing my custom joinery designs, upholstering bespoke furniture items or bringing a space to life through art. A. I love working with pattern, I think that it brings life to a space and is often the one element that is memorable to an interior. A. I am inspired by nature. Living by the beach and spending winter in the mountains, I love experiencing the contrast of our seasons and landscape. We are so fortunate to live in such a diverse country. I also travel as much as I can. A few years ago my husband and I travelled around the world for three months and I often look back on our photo album and draw inspiration from the countries and towns that we visited. A. I studied behavioural science before embarking on my studies in Interior Design, it often comes in handy! My passion for design started at an early age with an obsession for fabrics, something I still love to this day. I established Melissa Balzan Design in 2013 and have been fortunate enough to work in many facets of the industry including fabrics, interior design and most recently as an educator. I believe beautiful, personally designed spaces should be accessible to everyone. I pride myself on my personal approach and enjoy collaborating closely with my clients and suppliers in every aspect of the design process. I delight in creating a home that is as unique as my clients, with a highly personal and relaxed service. My approach to an interior is to create a classic look that lasts the test of time however with a modern twist. A. I love working with fabrics, texture and colour and always try to incorporate these into every project. A. I'm influenced by so many different international and Australian designers. I do often refer to the works of Suzanne Kasler Alexa Hampton, Axel Vervoordt and Thomas Hamel for inspiration. I also find travel to be a huge inspiration. A. Growing up in an Italian family, I fondly remember being put in a huge wooden barrel to pester grapes. I think this where my love for wine began! Milly + Co is an independent design studio, creating inspiring, flexible spaces. We transform residential interiors into environments that are beautiful and functional. From small projects through to the large and complex, we thrive on taking your vision and bringing it to life. We do this by taking an active approach to collaborate with local artisans, by uncovering hidden design treasures and by exploring our passion for colour, form and texture. Your space will delight, surprise and endure. A. I love working with colour and light, bright or subtle, together they create personality and ambience in an interior. I also really enjoy collaborating with local artisans to achieve a unique interior. A. I’ve always been a huge fan of Isle Crawford, her work with colour, especially depth of colour is incredible. Her interiors are quirky, fun but practical - you’ve got to be able to live in a home that is functional. A. I’m a country girl who is completely addicted to Grand Designs. Molecule is a leading architecture and interior design practice based in Melbourne, established in 2010. The central ethos of the Molecule studio is the creation of holistic and distinctive environments which involves the blurring of the traditional boundaries of architecture, interior design and landscape design into a singular offering. One vision with multiple influences. Molecule seeks a clear vision for every project; the client brief and the context of a project directly influence the design direction and a bespoke project identity develops that is unique and memorable. Founding partners, Anja de Spa and Richard Fleming collaborate on every project from inception through to completion. An intimate connection to natural materials underpins every project, creating spaces that feel comfortable for dwelling, nourishing for the soul and in harmony with nature. A. A singular conceptual idea which defines the project at the macro and micro level, from the big formal moves through to the fine detailing. A. Art is a constant source of inspiration for us, from installation through to paintings and photography. Sol LeWitt and Dan Flavin are two of our current favourites. A. We own a piece of rural land which we are in the process of regenerating with native planting to create new habitat for wildlife – it’s called rewilding. It’s the best antidote to our busy urban studio life. As our name suggests, we are located in the very charming Mont Albert Village in the eastern suburbs of Melbourne. It is wonderful to be part of such a community and to be immersed in a setting of leafy streets and beautiful family homes. Known for our personal approach, we create beautiful, practical spaces. We work very closely with our clients to meet their individual needs from initial concept through to completion. With over twenty years’ experience in the industry and an array of reputable, talented suppliers our aim is to deliver interiors of the highest quality, balance and finish in each project we undertake. A. Creating a sense of cohesion and balance – coordinating existing and new elements with beautiful pattern, texture, colours and finishes. A. In our industry there is a wonderful blend of cultural diversity available to us in our fabrics, textures, furnishings and artwork. This can bring a richness, sense of individuality and vibrancy to the projects we design. We source inspiration from all over the world to create sophisticated, personal, liveable spaces. A. I come from a huge family and love nothing more than to be at home around the table with them – with everyone talking and laughing at once. Moss is a boutique design practice with an interest in the unique character of each of our clients. With a passion for textiles and love of colour, we encourage our clients to embrace a look which is contemporary but timeless, and reflects something about who they are. A. We believe that a space is better when it some of its history remains in each of its evolutions in order to create a unique look. A. We are influenced by the Australian lifestyle, so our style is relaxed and easy to live in. We also love modernist Australian design which also represents a look full of light, contrasting textures and bold palettes. A. My great aunt, her sister and husband were the last cooks and gardener of Como before it was handed over to the National Trust. My father used to call in for dinner when he studied at Melbourne University, and sit in the kitchen with his aunties as they cooked for the Armytage sisters, listen to stories of the characters that they were. At Resident Avenue we focus on our relationship with you, we work closely with you to understand exactly who you are and where your journey is headed. We encourage and embrace your vision while taking you to places that will challenge and excite you. Our team of diverse and qualified designers love what we do. But we’re different. You see, we bring experience from a range of other industries. We’ve all seen and done a lot. We’ve travelled. We’ve worked hard. We’ve been inspired. This kaleidoscope of individuals led by senior designer Jessica will bring their passion, energy and instinctive nature to the collaboration, creating personal spaces that offer unforgettable experiences. Our team blends texture and colour in compelling and sometimes unexpected ways. We will challenge you to try new things. We will dare you to surprise yourself. We will see what makes you tick and your heart skip a beat. A. Colour – for us colour is the start and finishing point of every project. Colour evokes an emotional response and it helps us build thoughtful environments that reflect our clients personality and lifestyle. Colour is the way we ensure your clients homes are an expression of their individual journey through life. Apart from the fact that it just makes you happy! A. I have many, like most creatives but honestly our clients are my biggest influencers. For us it's about creating engaging homes that express each individuals journey through life. After all, its our clients that live in these homes and its them that we want to make smile everyday. Intuition is another huge influence for me, its import to trust yourself and be brave…if you do great things happen. A. Nothing! I’m a walking, talking open book. Definitely an over sharer! Richard Hall & Son is a creative studio run by Fiona Richardson and Belinda Hall specialising in interiors and product styling. We love to create liveable, genuine spaces that our clients relate to on a personal level. Wherever possible we aim to help clients choose pieces that fit strongly with their aesthetic and that they will still love in ten and twenty years time. Complimenting our residential practice, we also work with photographers and creators to bring products to life and set them apart from their competitors. A. Introducing vintage or bespoke furniture is often a key component of the work we do. It helps to make a home feel unique and we particularly love finding an old piece of furniture and giving it a new lease of life. A. This is such a hard question as there are so many wonderful talents that we draw inspiration from on a daily basis. If we had to really narrow it down it would be Ilse Crawford and her human-centred approach to design. A. Our name is a play on our surnames and the fact that we have a handful of sons between us (and a single daughter, thank goodness). Sisällä is about creating good vibes. The studio creates spaces that feel amazing to be in and form the backdrop to beautiful memories. With a lean towards their Scandinavian heritage, Sisällä appreciates authentic design and the innate beauty of natural materials that simply make us feel good. We always look for opportunities to create a little hygge (special cosy feelings) in all of their projects. Sisällä is Lauren and Phil Li – a husband-and-wife team. They share their passion for beautiful design from Denmark alongside the incredible local designers and artists in their collection at their studio/showroom ‘apartment’. A. Not so much a design element, but there must be an emotional response and the space should tell you something about who lives there. A. Melbourne is a huge influence, it’s a city with a wealth of incredible designers, makers and artists and we love to use local design in our projects. There is nothing like travel to fill the creative soul. We love the colours of Studio Pepe, the emotive spaces of Ilse Crawford and the incredible designs of Patricia Urquiola. I love the colour forecasting design work of Norwegian Dagny Studio. There are just far too many to mention! A. We’re conducting an ‘apartment living experiment’. Our family of four is currently living in a South Yarra apartment and so far we love it. I believe that apartment living is fabulous as it’s an environmentally sustainable way to live and incredibly convenient. 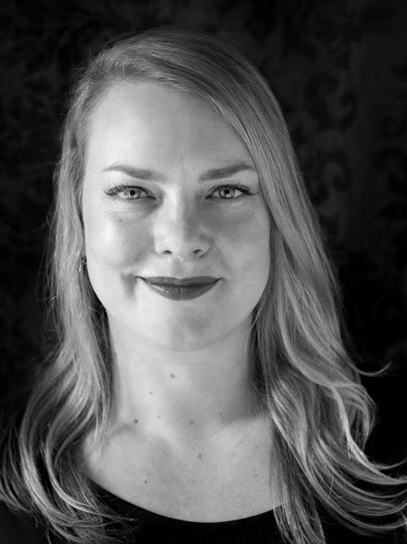 With over ten years’ experience in Interior Design, Rebecca is known for effortlessly combining crisp, clean architecture with thoughtful, detailed and tightly resolved interior solutions which have been described as “cool and off-beat…”. The studio’s aesthetic and idiosyncratic designs are based on an holistic approach to design that includes everything from spatial planning; joinery detailing; to lighting, fabrics, furnishings and accessories. Rebecca combines this with a love of contemporary art to create casually elegant spaces that are personal and very liveable. She has built a sound reputation as a highly versatile and maverick designer, whose work is tailored to the needs of each client and project. A. Natural materials are a non-negotiable for me…I like to incorporate natural textures in all our projects – timber, metals, stone, cottons, linen and wool. Materiality is key in design. A. My main influences in design have come not from other designers so much, but from the natural environment. I love nothing more than escaping to the wilderness and dream of a remote cabin in the Tasmanian highlands. Having said that…Kelly Wearstler, David Hicks (the British) and BKH (Burley Katon Halliday) were early influences and of course style icons. A. Something most people don’t know is that Design is my third career (short attention span…) my first degree was in Medicine, specifically Haematology. It’s been a winding road. Studio Stamp is a creative practise specialising in interior design and style founded by Alexis Dumaresq Reid and Sophie Gunnersen. The girls joined forces in 2009 on their return to Melbourne after a combined 18 years of living, working and learning design in Europe and South America. Key to our look is our ability to embrace each others strengths and fuse our styles – Sophie’s is raw and real while Lex is all about textures, layering and silhouettes. At Stamp all our projects are individual and are dictated by a clear understanding of our clients needs. This enables both us and our clients to make informed decisions, which allow ideas, concepts and visions to be nurtured into beautiful realities. We enjoy working with clients, architects and artisans along side our solid base of suppliers and contacts all of whom enable us to create stunning and enduring visual results. A. Our country upbringing has kept our style authentic; Travel: we have both lived abroad in Europe and South America for a combined eighteen years; Fashion: we constantly inspired by street style and the clever way people piece things together – it is art; The Belgian Interior Designer, Axel Vervoordt. A. Our foray into the working world was as roustabouts. We are both very handy in the shearing shed. Prior to establishing her agency in 2008, Tigger Hall was an Interior Designer for over twenty years. During this time she completed residential and commercial projects in both the city and regional areas, for which she has been represented in number national publications including Country Style, Vogue Living and Inside Out. From her experience as an Interior Designer, Tigger gained an appreciation for beautiful textiles and the way they can be utilised to create style and ambience. Upon completing a significant international project, Tigger felt the fabric ranges and textiles available in Australian needed the quality, scope and breadth available internationally. She then spent the next three years travelling the globe researching to deliver an edit of the most exquisite textiles available, that would re-inspire designers in Australia. Central to Tigger’s vision is the understanding that surrounding ourselves with beautiful textiles enhances our quality of life. The intense curation and development of the company encompasses this ethic. A. Colour, it is essential to life. A. Travel to places like India and Istanbul and having the opportunity to research cultures, history and textiles. Q. What is one thing people don’t know about you? A. That the name ‘Tigger’ originated from Winnie the Pooh, as a child my mother lived and breathed Christopher Robin and Winnie the Pooh and enchanted us with it. Vincent Jenden Design is an Interior design house specialising in the planning and management of complete design projects that not only meet their client’s desires, they exceed their expectations. Vincent is driven by a desire to create innovative design solutions that are current and yet timeless. With emphasis placed on quality finishes, superb detailing and exceptional craftsmanship. Strong communication skills are also an integral part of Vincent's success. Vincent’s twenty-five year career spans the decades and the globe. His design career began in Auckland, New Zealand in 1993, before relocating to London, UK in 1999 and residing in Melbourne, Australia since 2005. With an appreciation of all periods of design, cleverly combining contemporary elements together with antiques or period pieces has become a recognisable signature of Vincent’s own personal style. Global travel also has a strong influence on Vincent’s design spaces and keeps them in tune. A. Visual balance is always a primary priority in every design project I deliver. A. I travel to Europe once a year and find my taste and style is influenced constantly by the ever-changing contrasts. A. While I enjoy global travel and the benefits of living and operating my business in the bustle of South Yarra. Retreating to my country property not far from Trentham, Country Victoria is where I truly relax and unwind in Australia. Anna Loughnan Flowers specialises in unique floral arrangements for any event large or small. She enjoys working with the client to realise their vision. Anna enjoys the challenge and variety of working with seasonal flowers in different settings. A. Listening to the client. A. Growing up my mother and grandmother encouraged my love of flowers; in Geelong Judy Chirnside was a big inspiration; I love the work of many florists now and am inspired by people all over the globe. I love wandering the streets and especially the botanic gardens to see what is newly in season. A. I work predominantly from my garage.